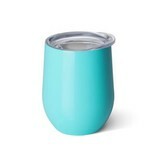 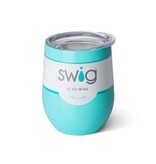 Take a Swig with these 12oz Ocean Stemless Wine Cups! Swig Vacuum Insulated technology will keep white wine the perfect kind of cold while sitting out at the pool on a hot summer day, or coffee hot for up to 3 hours. 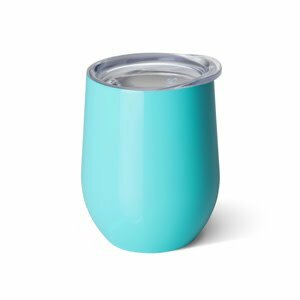 These Stemless Wine Cups can hold up to 12oz - that's two standard glasses of wine!